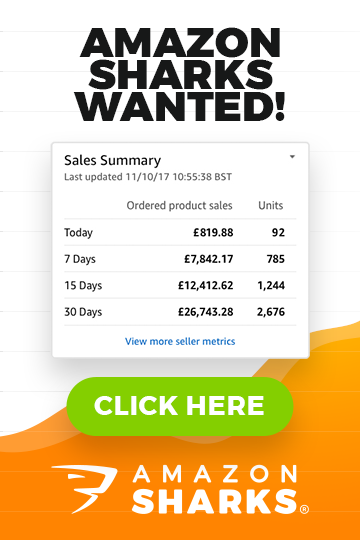 This week I have prepared something very special for you – let’s put aside eBay, wholesale and eCommerce for awhile and take a look at one specific way of making money online I have been practising with great success for the last few months. 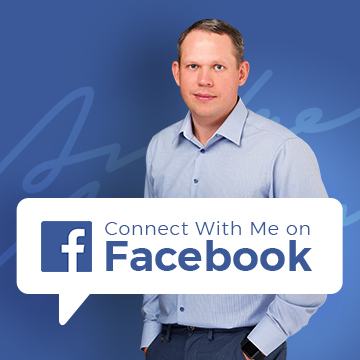 Yes, I’ll share with you exact strategy that generated me £1349 in ONE MONTH alone, and yes – I worked on this just 4 hours in total (1 hour every week)! Question: How to get extremely wealthy? 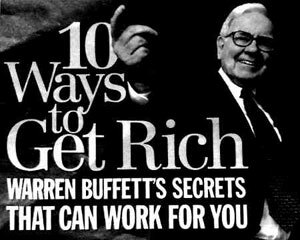 As wealthy as Warren Buffett for example? Answer: by using Money to Make More Money! Potential earnings were some way limited, at least for my trading techniques. But still to this day, from time to time, I was looking for opportunities to invest money to make more money. With increased profits from my info products business and eCommerce stuff, I wanted to find a way I could invest my profits into some sort of financial instruments to let my money make more money, hands free way! Problem is that with most traditional financial investment instruments, such as stocks, mutual funds, savings accounts etc. your potential ROI is very small. Risks vary from one instrument to other but in general, in my opinion, reward for taking those risks is way too small! Invest in dividend paying stocks for 5% yearly ROI? 5% per year? I would better use that money to buy a pallet of un-branded Tablets, made in China and sell off in 3 months time for 20-30% ROI on eBay. Yes, selling physical products involve way more work than financial investments but again, 5%-10% yearly returns doesn’t sound appealing to me either! Welcome to the World’s Largest Financial Marketplace – Currency Trading! What is Currency Trading in first place? To put it simply, it’s the World’s largest financial Marketplace with estimated turnover of more than $4 trillion each day. Currency Trading (further in text simply “Online Trading”) is a market where anyone (individuals, banks, investment firms etc. ), anywhere in the World can conduct foreign exchange transactions (hence sometimes it’s called “currency exchange”). Basically, it’s all about the PRICE for currencies being traded – will it go up or down (based on all kinds of political, economical, market etc. factors), much like with STOCK MARKETS. So you try to buy “low” and sell “high” to make profit. What makes Online Trading so unique? Continuous operation: 24 hours a day except weekends, i.e. trading from 20:15 GMT on Sunday until 22:00 GMT Friday. Another interesting nuance with Online Trading is that you’re actually buying/selling currency pairs and not individual currencies. Why’s that? Because it’s is a currency exchange marketplace and to buy one currency, actually means EXCHANGING it with another one. EUR/USD is the MOST popular currency exchange pair. But you can trade on more currency pairs plus most Online Trading platforms offer trading Gold, Silver & Oil as well as World’s leading stock exchange indexes, like SPX500, NSDQ100, DJ30, FTSE UK 100 and others. For now, you just have to understand what Online Trading is and how you can make money from it. It’s simple, right? Buy “low” and sell “high” to make a guaranteed profit! Much like with stock markets, right? Then why 99% people lose money with this in long term? Why so many people are losing their life savings when stock markets collapse? Because the tricky part with Online Trading and stock markets is to know WHEN to get it and WHEN to get out. That’s the simplified key to success with financial trading – to know exactly WHEN to buy and to know exactly WHEN to sell! And this is where SKILLS & EXPERIENCE plays the biggest role. Currency prices, stock prices, oil/gold prices changes based on all kinds of factors, like political/economical situation, decisions, credit ratings, storms around the World, terror acts, inflation etc. etc. A Trader (person who trades) have to learn how all these factors affect currency exchange rates to predict when prices will go up or down, to make profitable trades. Now, these skills can’t be learned by reading few books or by watching some YouTube videos. You would have to spend years upon years on practising these skills and even then, there are no guarantees that you’ll succeed. Plus it’s a well known fact that it takes a lot of nerves and gray hair to become a TOP Trader – be it Currencies, Stock markets or Betfair – principles stay the same for all Marketplaces. At this point you should say – so, what’s the point in doing all this? EXACTLY! Chances are very slim that you could become a professional Online Trader BUT here’s the good news – you DON’T HAVE TO! The day when I found eToro really changed the way I look at Online Trading! What’s eToro and what’s so special about it? As you can see, it takes just one click to buy or sell EUR/USD currency pair. The simplicity of these Trading platforms is the number one reason why online trading is so popular these days. Tens of millions of “normal” people are trading online nowadays, from the comfort of their homes. There are dozens upon dozens of different websites and eToro alone attracts more than 5 million users. But that’s not all, eToro is the World’s first social investment network offering a brand new, UNBELIEVABLE feature called the “eToro Copy Trader”! When I saw this first time, I thought – WOW (!!! ), this is such a good idea! I knew that chances of becoming a profitable trader for me are very slim and it would take long years, wasted down the drain if it didn’t work out at the end of the day! Why spend years on learning this stuff when you can simply copy what BEST OF THE BEST are doing? Would you spend years trying to learn how programming works to create a shopping cart? Or simply buy Open Cart, 3D Cart or any other pre-made shopping cart systems? 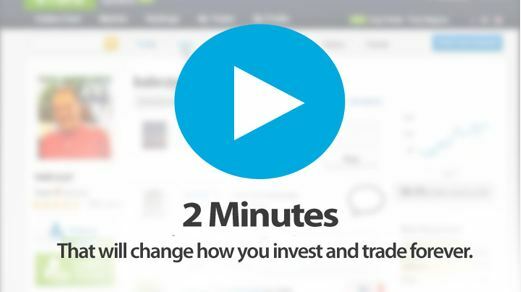 And eToro offers just that – opportunity to copy exact trades best traders are carrying out. And this is the core concept for my system: Copy Best Traders on eToro to Make Profit WITHOUT actually doing any trading on my part! The idea has a very simple and straightforward reasoning – to follow absolutely BEST traders and earn money from their experience and trading skills. If these top traders couldn’t make me profit in long term, there’s no chance I could do it on my own, right? Exactly! So with this strategy, absolutely anyone, anywhere in the World, even without any experience with Currency Trading should be able to show a long term profit. Of course, there are some important questions that need to be addressed, like: which traders should I follow? How to minimize risks? How to manage investment portfolio? I’ll try to cover most important elements in this blog post to help you get up and running ASAP without wasting months learning how to best utilize eToro’s trading platform. Currently, eToro allows us to copy up to five traders and I believe the best way is to maximize it to full potential and divide your money equally to 10 traders you’re following (10% goes to each bank). Obviously, the more diversified your portfolio is, the less chance of big loses when trader’s performance goes down. My general rule of thumb is to absolutely minimize potential loses, even if that means lower profit in long term. By this I mean – I only follow/copy traders with low to medium risk portfolios, with proven and positive record of at least 6 months. 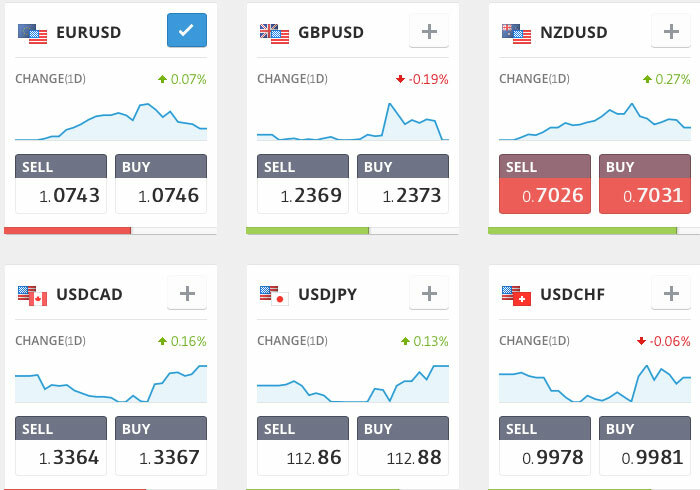 eToro makes this process extremely easy as you can analyse each trader’s trading style, past performance etc. This is the most important one as shows how well any particular trader performed over the last 6 months. You can also change data range to last week, last month, last year but I have found that it’s best to stick with last 6 months as this gives the most objective information. 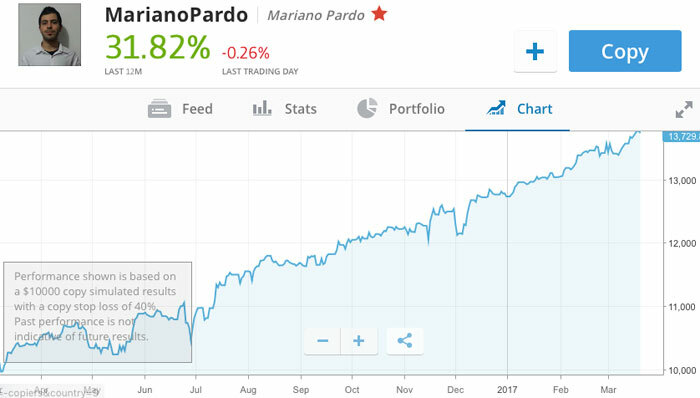 As you can clearly see, MarianoPardo (trader’s nick name) has a proven track record of profitable trades making more than 30% yield over last 12 months. As you can see, this Trader has only 0.47% of ALL trades coming from Copying Other people, this means that he is making his own trades in 99%+ cases. Next thing you can check on trader is Open Trades. Open Trades show all trades that are currently opened by trader. What we’re looking for? Avoid traders with negative Open Trades that are opened weeks or months ago. For example, a trader opened a trade 3 months ago, price went to the wrong direction but instead of taking loses, trader left that trade opened in hope that in future price will go back. This is what I call GAMBLING and you definitely don’t want to copy gamblers! Lastly, check trader’s history to see results for most recent trades. Pay close attention to number of trades executed per month – I wouldn’t choose a trader with less than 10 trades as I’m always looking for active traders that are trading each and every day. Don’t be afraid of sellers with lots of negative trades! Even more – I would rather see some negative trades in trader’s Trading History as that would show that trader sets proper stop loss points and takes adequate loses when market goes the wrong way. You’ll see many traders on eToro with 100% positive trading history but when you check their Open Trades you’ll see why – they’ll have large, negative Open Trades left for months, so that they don’t have to close them and face loses. Ok, so these are my TOP 5 filters to find good traders to copy on eToro! With experience, comes ability to spot good traders almost instantly so don’t be afraid if this all looks too complicated in the beginning. Once you find your first few traders to copy, next time you’ll look at all this data with more knowledge and power to separate good traders from bad ones. There are some other things you can check like Trader’s comments, 12 month trading history and others but for beginning, these 5 filters should be enough to find good, profitable traders to follow. There’s no cost involved to use eToro. There are no sign up or monthly subscription fees involved. You could ask – what’s the point for traders to share their strategies with other people by allowing them to copy trades? That’s the best part of this – these traders get commissions from trades carried out by their followers/copiers! This means that those traders get paid based on their performance – the better they perform, the more money they earn! It’s an absolute win-win business model and I really think it’s groundbreaking feature in whole Online Trading industry. eToro accepts credit/debit cards, PayPal, wire transfer and some other payment methods. You can start with as little as $50 but I recommend depositing at least £200 – £300. 1. With smaller amount you won’t be able to copy 10 traders as then you would have only £5 for each. Most trades are being made with very small % of the bank and with £5 you may actually not get all trades as some will be below 1p. If you absolutely must go with minimum $50 deposit, copy just one trader in the beginning (not best from risk management point of view). 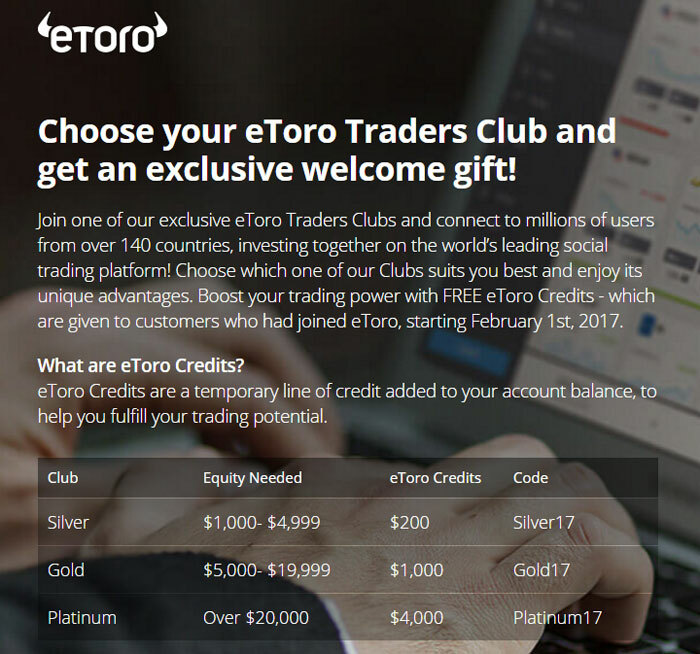 2. eToro offers credits on first time deposits! The more you deposit, the more credit points you receive. And this credit applies only to first time deposits, make sure you use this promotion and get most out of your initial deposit. Once you have opened account and deposited some money, it’s time to find traders you want to copy! Stick with my 5 filter system explained in this article and find 5-10 traders. I always stick with 10 traders as that gives me managed risk when one trader starts to perform badly. When you have 10 different portfolios, risk of losing large amounts of money is minimized. This is your actual, on-going work! Spend at least 30 minutes to one hour each week to analyse how your traders are performing. If you see that trader’s performance goes down, un-copy it and look for a new trader to copy. I do this by re-evaluating last month trading history graph for each trader, each month. Don’t be a gambler and know when to quit, even if it means taking small loses in short term! It’s crucial to monitor how your traders are performing and if you spot a negative trend, un-copy that trader, even if it means closing down some un-profitable/negative trades. It’s all about long term profits – you have to be prepared to take some loses when trader goes down, that’s part of the plan. The problem is that most people are impatient and simply switch from one idea to another every month! That’s not how you’ll achieve long term profits with Online Trading. This game is for people who are ready to wait and be patient. Good thing is that with eToro and this simple system, it’s not like you have to work very hard on this. Anyone, with a full time job can invest few hundred pounds and try this out for at least few months. Maximum you’ll spend 30-60 minutes each week mostly to check profitable trades! Another great strategy to boost the effect of compounding with Online Trading is by keeping investing small amount of money each month. For example, you have £200 spare income each month – you start trading on eToro with £200 and seeing that your strategy works and you’re making a steady profit, keep adding £200 to your bank each month. At least for first three years. What effect this causes? MASSIVE increase in overall bank value! For example, if you start trading with £200 and get steady 10% each month BUT do not add any more money to your bank, at the end of five year term your bank will be £60,896.33. On the other hand, if you keep investing additional £200 for next five years and still make 10% monthly gain, your bank after five years will be £728,555.93. That’s a massive difference and reason why I recommend you to keep investing, even small amounts of money, each month to help compounding effect do it’s work at maximum rate! To sum it up – the longer you leave money “in system” and let compounding do the work, the greater profits you’ll face. Think about all the large investment companies, same Warren Buffett – they also invest money in long term and they perfectly know that it’s all about constant strategy and patience – be it a economic boom or recession. My personal goal is to achieve 20% – 30% yearly yield with as minimum risk as possible. Because I know how those 20% – 30% each year accumulate over longer period of time! And this is all passive income, don’t forget about that. Yes, eToro also offers trading with Gold, Silver, Oil and this is actually something I’m looking into on my own, apart from copying currency traders on eToro. I really believe that there’s a huge potential in Oil and Silver (gold is over-priced in my opinion, this is not the best time to purchase it). Particularly OIL is what interests me most as I’m confident that oil price will increase significantly over next 5-10 years. 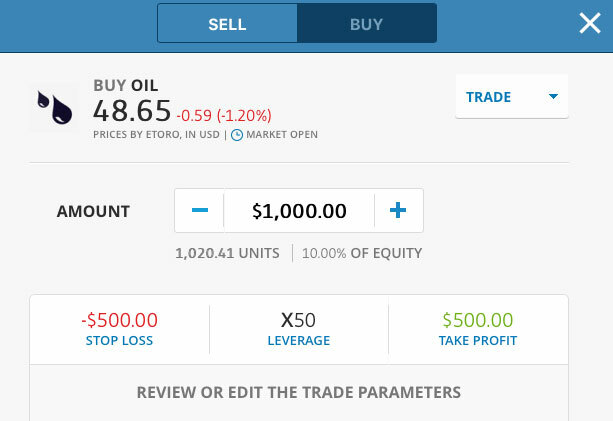 What I’m looking forward is buying oil using eToro’s platform as a long term investment and make huge ROI when price rises in few years time. Here’s another interesting feature for eToro – LEVERAGE! Leverage means that you can trade with more money than you actually have in your account. It’s hard to explain in one paragraph but for example, with a bank of £200 you can purchase OIL worth £1000. This means 5 x more profit when price goes up and you decide to sell. 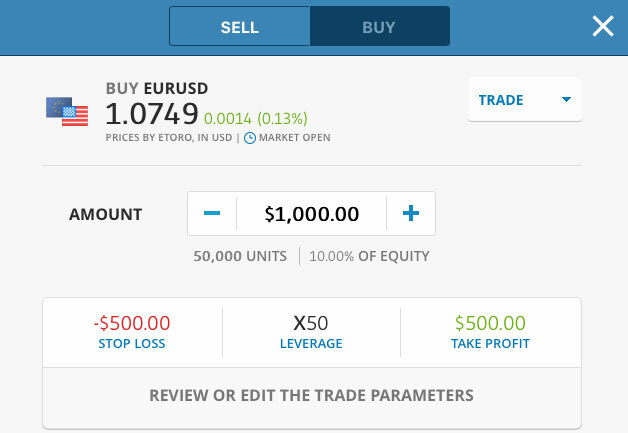 If you’re interested more about how Leverage function works, check it out in your eToro account. I wanted to share this with you just to show what’s out there apart from eBay, online shops and Amazon Marketplace. I do not plan on investing all my money in this and quit doing everything else, at least not for now. Obviously, risks are still involved with this kind of investment but potential profits are huge! If you copy good, long term traders and do not make any stupid mistakes, it would be really difficult to lose your initial investment. Yes, risks are involved so DO NOT invest all the money you have or do similar stupid stuff! You should only invest money you can afford to loose, no matter what happens. You can start with few hundred pounds and trade for 3-4 months. If you’re getting steady profit, then you can invest more. But in no way I can guarantee you that you’ll make money. I really hope this rather lengthy article is somehow valuable to you! I know that it’s a not a Bible on how to make money on eToro but I have tried covering at least all the basic stuff and shared you my detailed experience. Any questions, feel free to leave a comment below this post and I’ll try to give you more detailed advice. There are lots of fees taken by eToro as they convert your cash for trading and then back again for withdrawal and charge a withdrawal fee. So according to the website I had a 10% profit, but on withdrawing my money it was actually 10% less than I invested and the money came out in about 10 separate payments. No benefit to me and a significant loss. All these type of copy trading sites are not for the trader and you are almost guaranted to lose money. Great article, it’s great to see somebody so active after so long. I am a little confused about the ROIs. From a very brief look at the “copy trader” page on eToro it shows profits as annual but then you mention a monthly income. If I invest $200 in someone with 20% ROI would I be making $20 per year or per month? 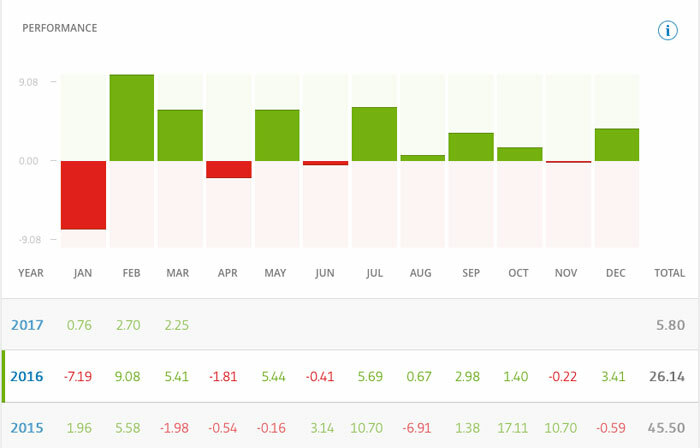 It’s a yearly ROI, yes shown on eToro website. I have simply divided it for my own purposes on a monthly basis. Where would I be able to find a list of countries that are compatible to trade with eToro? If you can open an account and deposit funds, you should be able to trade on eToro and withdraw funds later on. To be 100% sure, simply contact eToro customer support so you have this in written form. What traders have you been following ? Please read the article carefully, I explain this in detail. Hi Andrew, very interesting comments about etoro. I have just started copying and investing quite heavily. I notice a comment about withdrawal limits. If I have deposited all my funds via debit card, how in the future can I withdraw my potential profits. Will it simply be a case of setting up my direct bank account details with etoro for large withdrawals.?? Thanks in advance to comment. Yes, I personally use bank account and have no problems or limits with any withdrawals. The account is active now but not buy order are not getting executed. Raised a ticket with the customer services looks like they will take 4 days to reply. Please advise if there are any videos available to learn. Thanks! I have submitted all the documents to eToro and my application is pending verification since 3 days now. I have also transferred some funds in to it. The account shows available funds and allowing me to place the buy order which I have done. The crypto price went further below my buy order price but I’m not able to see anywhere the executed order or number of cryptos I have purchases. Can you please let me know how to check the executed order. Also please let me know how to modify the pending orders here. With questions like these you really should contact eToro support – they will be able to help you and answer these questions. I was looking out for lot of information about eToro but most of them I found it on your article. Thanks for that it made my work much easier. Could you please give me some knowledge on what does overnight charges (per 10000 units) means. If I buy a Bitcoin and sell it after a month how will these charges are going to be calculated…. Please look at fees help page on eToro, it explains over-night fees for Bitcoin, other currencies and everything else. Basically the overnight fee is charged every day on open positions you have, but not in all cases (Buy positions are charged but SELL positions are not charged). I am leaving in Toronto, when I open account, the regulation said not accept Toronto of Canada, but some certain city is accepted, also ask some ID for verification, when I give my current address , the verification still shows pending, I v been waiting for few weeks already , because my address. So , while I am waiting I did play virtual account and made some money too, in this case , do you think it is ok to deposit my real money if my account verification will be pending forever. Thank you Andrew. You should probably get your account verified first before you start investing with real money. Any plans on being a copy trader yourself? I know you put some work in it every other day you might not want to share for free, but I’m pretty sure there are some upsides for you as well (I’ve read something about lower spreads for example). Or are your copied trades ignored when you would be copied? I won’t do it – I have explained my reasoning before – I don’t want to take extra stress on this when I know that other people will follow me. How exactly are you taking your profit every month (or so)? Do you just stop copying a trader (or all of them) and invest again right away with less money? No, no. I take out money usually once or twice a year. You don’t want to do it too frequently as P&L will fluctuate quite a lot during the year. Thanks for the fast reply. But you do close the positions and start them again, or are there other ways (like removing funds) you use? yes, need to close positions and re-open. Usually I just withdraw money when I stop copying someone – then I have money on the balance. If I buy “stocks” on etoro, would they pay me dividends like the real stocks? No, as you’re not effectively buying “real” stocks. So, if I copy a trader I don’t have to do anything except analyse the person’s investment and see myself if I want to close and copy someone else? I could effectively leave it there for years? Hi Grace, thanks in part to Andrew, I’ve been learning the ropes on etoro for several years…it’s been a roller-coaster, but I think I’ve nailed it now. My name on etoro is ‘themoneymagnet’…thanks Andrew, you’ve helped completely change my investment strategy and financial freedom looks more achievable than ever! I see a lot of ppl around that they have withdrawal problem! Have you ever tried to withdraw? If yes, how many days did it take? Ok I just saw the same question right after mine! So how many days it took for the withdrawal? I withdraw money almost every month, directly to my bank account. It takes 2-3 business days usually for money to arrive, sometimes just 1-2 days. Thanks so much Andrew my only concern is ive heard so many people using online trading having issues with withdrawing how can you guarantee etoro pays out? I know you say it does and you just need to give your proof of identity etc but how do I know it will pay put unlike many others that people still struggle to withdraw on some scams. I’m not saying etoro is a scam but others are and this is where I need to know they genuinely pay out . I personally can’t guarantee you anything as I’m not the owner of eToro. But I have never had any problems withdrawing money from them. Plus – they have millions of members – imagine how quickly bad news would spread if they don’t allow withdrawals. Those horror stories you see/read online – it’s a super small fraction of the actual eToro user base and usually are associated with user fraud – using different identities, ID scams, not willing to send proof of ID etc. Lastly – eToro is a financial institution that is regulated in the UK by the FCA, just like regular banks. So if eToro would theoretically refuse you to withdraw your money, you could seek help at FCA and get it sorted out. Thanks a lot about this great data, I have a simple question about that all…Can i make real income monthly only by “Copy people” ? How difficult is to withdraw money from eToro? There are a few scam brokers and I had bad experience with one recently where they simply refuse your withdrawal requests any number of times you put in, so I am a bit cautious. Have you been able to withdraw funds from eToro without any issues? First time you do it, they ask to verify your identity and that’s it. After that first time, it’s a very easy and straightforward process. I have heard that etoro allow to withdraw only maximum amount of what we have deposit. Is that correct? Suppose I have made 300$ deposit via credit card, and I can only withdraw from with the amount of 300$? If we have made a good trading and earn more that what we deposit, could we withdraw? No, I think that rule applied applied only to one specific payment method – can’t remember which one, I think it was credit card, but not sure. There are no such limits on bak account withdrawals. can I start with 50$ , and try to buy stocks by myself! (” because the minimum price to buy a stock is 10$ “), then when I earn 100$ , start copy a traders ? No, you can’t, as minimum deposit is $200. In order to copy a trader, you will need a minimum of 100 or 200 dollar; euro or Pounds. In this story you told us that you have just invested £200, and you copied 5 people. In order to copy 5 people you will need at least 500 or 750. This “story” has some reasoning, you can follow 10 traders and you can place buy or sell order (whenever they act) in a mt4 platform and clicking on their portfolio and then to open trades copy the stop loss and take profit position. Else with £200 it is impossible to copy 5 or 10 traders on etoro! When I published this guide, the rules were different. I am wondering what happens if your PayPal account gets blocked or suspended as it happens often with PayPal and sometimes without any decent reason as you know. So how about withdrawal after investing loads of money to Etoro platform via PayPal after your account gets suspended for example? How would you take those money out if it has to be the same source as you have invested money from. not sure on what happens in situations like these. You should ask this on eToro Live Support chat to get direct answer from them. Hi Andrew. I found out about eToro today, and naturally went out to research and found you blog. Thing is now eToro allows for 20 traders at any time. What are you thoughts on this, the more the merrier? Of course you will have to spend more time evaluating their performance. If so I assume it would be rational to multiply your initial investment? Yes, 20 traders but min. you can invest in each is now $100. So you need at least $2000 to invest in all 20. I usually copy 10-15, depending on what’s available. Good article – need to really print it out and read it carefully, but it seems a robust method of choosing people to copy. My only small comment I would have regards the info you put above it your statement that you pay 0% tax in the UK on gambling winnings. The official line from the HMRC is that if you do not have any other regular taxable income other than gambling you will probably be classified as a professional gambler (your trade) and may loose your BIM22017 exemption and as such will have to pay tax – the easiest (legal) way around this is to have a taxable income and trade at the same time – even if you make more on the trading, you will be OK. As a side note anyone with “day trader” or such on their passport or facebook / linkedin etc as their profession will have a harder time convincing HMRC not to make a case against them. Thanks Peter for your comment! Hey this was really awesome. Thanks alot. Im 22 and planning to invest some.money into this. I have a small question. Is there a way to add money to etoro using a debit card and can i receive funds in another way, as in a direct transfer to my savings account, etc. No, you have to withdraw money to same source you funded your account with. What I find a little difficult is that i read many reviews saying that its difficult to withdraw money from etoro and all that. I am having second thoughts. Is this true and have you had any similar problem? Yes, they ask you to verify your identity but if you’re not hiding your real ID, it’s not a problem. PayPal also verifies identity in a similar way and that is something all financial institutions must do by law. Hi Andrew, I like your site and the articles are really well structured, thanks. I have invested with Etoro a similar amount and adopted the strategy you have suggested currently spread across 7 traders. Its progressing well but I am also nervous about many people having withdrawal issues. You mentioned you were looking to withdraw the orig 10k investment …did you do that? Also really looking forward to the 2014 review – when will that be released, thanks, Gareth. Yes, I did take out my original investment. Not sure really what people brag about – all they ask is to verify identity and use same payment method for withdrawal that you used for uploading money into account. It’s all basic, anti money laundering stuff and doesn’t cost you anything extra. I think people who complain about this, use fake identities, fake address etc. and then can’t verify their identity. My eToro update article should finally go live next week! I found your article very informative and very helpful, I’m new myself to looking into this kind of thing copying other trades, It as you say sure and steady is a good angle. There is one thing I read which alarmed me that you were looking to invest in oil for the long term as you were convinced it could only increase in value – I hope it hasn’t been a bad one for you. Great post. i started up with etoro deposited £200 ($300) and did some good research following your steps but on most decent traders etoro will only let you copy them with a minimum of $100 so im copying 3 traders right now or can I follow them for less and spread my portfolio to guard against big losses? Am i doing something wrong. I’m going to invest £200 every month in this – saving for my dream house! haha so is just a case of copying each trader for $100? Also bought EAB – its really great and will book my hour chat in soon – keep up the great work! Yes, $100 is minimum you can invest in each trader when using Copy Trader function. So you’ll have to wait for a few months until you can invest in maximum allowed – 20 – traders. I will be doing an eToro 2015 update article in January, so stay tuned! Excellent site/blog,I,m very interested in etoro,probably your one millionth customer,saying the same thing ,lol,but like everyone else,it’s an intimidating world to the uninitiated, so I guess I,m looking for a gentle hug before taking the plunge. My hard earned pound would seriously like some new buddies,so I intend to begin using your filter system,and hopefully settle in for the long term. Thank you for the great and common sense advice and will keep you informed of my progress,good or bad. A Happy and Prosperous New a Year to you. In January I will publish my eToro 2015 update, so stay tuned. Are you still doing this and have you published this years results anywhere? Also is this the best page to follow you on? Yes, I’m still doing this but haven’t had time to do a post yet. It’s been a very busy time for me but I really hope to get it done soon. Hi Andrew, is this still working for you? I notice the post talks about profits made almost 3 years ago, do you still trade and do well with this method? Just looking at options that could return more than the paltry bank interest right now! Yes, I’m still doing this and it still works. An update post for 2014 is planned very soon, I just haven’t had time to do it yet. 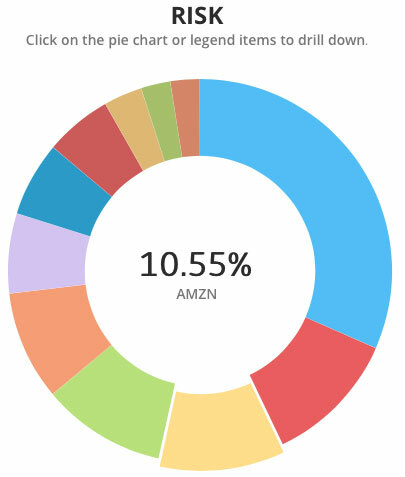 I wanted to know if you heard about PAMM (Percent allocation management module : http://en.wikipedia.org/wiki/Percent_allocation_management_module), and what do you think about it? sorry, no – I haven’t heard of that. I’m not a professional trader really and try to stay away from such technical stuff. Great post once again, Just want to mention etoro is no longer available in the USA. Thanks for the tips, they’ve been invaluable in navigating this intimidating field as a beginner. One problem is that there seems to be a crash in the Euro this week (I think :-s) which has caused about 60% of my investors to have drastic and uncharacteristic losses over a short period of time. According to your advice I should drop them, but this doesn’t seem right in light of their solid history and the unforeseeable crash. Yes, such sudden changes are not un-common. I personally would take a close look @ past performance and if it’s a really good trader, with good/positive history for at least 12 months, then I would probably keep them on and just see how it goes. You said you started with roughly 10,600 GBP, if you don’t mind me asking, are you still currently doing this strategy and actively watching it? And how much are you at now? Yes, I’m still doing this. I’m planning on writing my yearly eToro update post very soon and publish it in May. So stay tuned for updates on this. Thank you for responding so swiftly. I\m very excited about starting on etoro. I have thought about it for the past year but this article and your first yearly update are what has got me excited. Actually I have a couple other questions I forgot to ask. I noticed earlier you said you use your credit card to fund your account and deposit money to etoro. Does that count as a cash advance on your credit card? Also, if I copy someone who does manual trades and also copies other people, does it only copy their manual trades for me or does it also copy their copied people as well? 1) I’m using PayPal now for all transactions with eToro. 2) Yes, you’ll copy ALL manual trades and trades they copy. Yes, you want to “click” – Carry trades over weekend when investing in Gold to keep your positions over weekends. Hey Andrew. Found the guide very useful. I’ve been using eToro for a couple months but mostly putting my money on big companies like Google. It’s been 2 years since you wrote this. Mind telling us if you keep using eToro and if so how are you doing so far? Yes, I’m still doing this, and doing good – will publish another update very soon to cover year 2013! Hi Andrew, there is something that I do not know yet. And that is. When you sell, you can send your money back to paypal if you want? Thank you, and great article. Yes, at any stage when you “sell” and release money in your account, you can send it back to PayPal/bank account etc. thousands of people would like to know that, and that’s exactly why I won’t disclose it. I couldn’t live with the pressure & stress knowing so many people copy me..
It’s a hobby of mine and I like to keep it that way. When I usually start copying a new trader, I don’t copy existing trades (in most cases). Mostly because it’s playing games then deciding on which trades to copy, which not as there will always be some good trades in green and some in reds. As for checking trader’s performance – yes, at least once a week you want to monitor each trader’s performance and make adjustments if needed. I just started with etoro.. I don’t have enough funds to start big so I put 50$ and found one guy to copy (with LOW risk), should I wait a month now, invest another 50$ and diversify? ..should I find a second person to copy? What would you do if you had as little as 50$ at the very begining? If you’re just starting with $50, I would recommend it splitting into two parts and invest in 2 traders. Next month add another $50 to cover another 2 investors. Continue doing this until you have at least 10 traders copied. I don’t think it is possible. I added 50$ and tried to copy more than one trader but it seems that 50$ is the minimum amount I can operate with. yes, just checked and minimum is now $50 (it was $20 before). Well, then you should save up another $50 top copy two traders or simply start with one (best) and add more traders as time goes and you can invest further $50 in each. I’ll do that, thank you…. I’m having trouble finding advance filters, only popular searches are available now? When I copy a trader should I copy all open trades or copy only a few manually? What is a sign that I should change a trader to copy? Should I copy a trade and check it just once a week or more frequent? Piotr, that user is a terrible choice to copy… look at her 6 month graph. can i make money on etoro than ebay & ecommerce ?? If you wanted to ask “can I make MORE money on eToro than eBay & eCommerce”?, then answer is – no one can tell you that. It’s like asking how long is a piece of string? If you put one Million pounds into eToro system and manage 5% monthly return, that’s 50k in profit per month. If you put 1k in eToro and manage same 5% monthly return, that’s only 50 quid per month profit. And you can do 5% on eToro and you can do MINUS 10%. Same applies to eBay really – some people manage to make 20% ROI per month on capital while others are losing money. So there’s no answer to your question really. First of all..thanks so much for your blog..you sem like a very reliable person!! !Thanks indeed for your information!!! Based on the above example…a person has one million in the ETORO system…and manages a 5% monthly return…equals 50K…But, does that mean he would have to prepare his trade for high risk?? ?Let’s say that person who has one million invested/deposited…if he/she adjusts his trades for a 95%low risk…can he still make the 50K??? The amount of money you invest, really doesn’t make a difference. Besides that if you invest one million pounds in eToro, you’ll most likely become a VIP client with personal consultant and other perks. Congratulations with this fantastic blog to clarify many questions for beginners in eToro, like myself. I can’t wait to try your strategy on. I have some questions about eToro. Would you be so kind to answer them for me please? 1) What is the best way of finding traders, the search tool gets very limited and It alwyas ends up showing the same traders. 2) When I copy a trader, I must specify the ammount I want to invest on them, but sometimes I can’t see the same open trades as they have. It is a bit confusing. What does COPY TRADER exactly do? I guess they more I play around with it, the more I will understand. So far It is a bit confusing. 1) Advanced filters still is best way to find traders, Make sure you look past first 50 or so traders and also try Sorting results by gain, profit etc. It’s a shame that eToro did take down manual filters as that was my preferred way of finding traders. 2) When you copy a trader, you can select whatever you want to start copying all new trades from now on OR copy already opened trades. So you want to select 2nd option if you want to copy all existing trades. I have been reading this article for the past hour now but I still don’t understand anything. I registered with etoro when they first launched I got a call from 3 of their agents giving me guidance but I didn’t get what they were talking about. one even offered to give me free class when he gets home so that I can trade, and win and also copy him. but I didn’t give in because I was afraid even till now I’m still afraid to invest in forex. Too bad this could be my only way of being successful online but I’m still afraid. If after reading this, watching video etc. you still don’t understand, you shouldn’t follow with this idea. While eToro is a very user friendly platform, you still need to have basic understanding and knowledge in finance, mathematics in general and online trading. I’m sure you’ll find your path somewhere else. Thank you for sharing your experience. A big hug from Brazil. My doubt is: If you are copying 10 Traders: one or more of them this with several open orders and checks you that some of these orders that a profit of say 10%, some negative, in which case you will manually closing the orders or you are not positive moves to nothing and leaves everything on behalf of Traders? Not sure I correctly understand what you’re asking – do you want to know exactly when to stop copying a trader? No Andrew, I wonder if you close the orders manually copied. Or if you let it do all the Trader, ie that open and close orders. EXAMPLE: You are copying karaj51, karaj51 opened many orders, you will note that some are in profit, in this case you close manually or expect the karaj51 close? I do not manually close trades, no – unless it’s a bad performing trader I want to get rid off. I STARTED STOCK TRADING IN THE BEGGING OF 2012 AND TILL NOW, I LOST MY HARDLY EARNED MONEY WORTH $800. SO I AM VERY SCARED OF STOCK MARKET. PLZ SUGGEST ME HOW CAN I RECTIFY THIS? WILL TRADING IN CURRENCY WILL HELP ME TO GET MY MONEY BACK? PLZ GIVE ME ADVISE,, WHAT I SHOULD DO…. You should never go in this by trying to earn your loses back – it’s gambling! There are always risks associated with stock trading and social trading – there are no 100% guaranteed ways to make money with this. But I would recommend you opening a practice account, and trade with play money for at least 6 months or so. If you then manage to show a positive ROI, then consider investing real money. If you need to earn money fast – get a job or start selling something online. My worry is that we are being presented with the traders who are doing well over the past six months or a year, but that could just be a lucky streak. There surely is NO certainty that they will continue to do well. With some serious google research I managed to get the IDs of traders who were well rated a couple of years ago. Many of them have crashed and burned, presumably taking their copiers with them! That includes some who appeared to be careful low-risk traders. I’m also having trouble finding unbiased review of etoro. Most of the reviews and blogs seem to be by people promoting etoro to get the affiliate marketing fees. I have set up a virtual funds account, but I’m very reluctant to risk real money until I can get more unbiased information. No, there’s no such historical data available. I would also like to be able to go further back to 1 year data when filtering traders but unfortunately it’s not possible at this time. Trading is risky and surely there are many traders who go down on a regular basis, that’s why you want to monitor them at least on a weekly basis and get rid of bad performers as soon as you spot them. Don’t risk with real money if you’re not comfortable with this – just use your virtual account for a year or so and see how it goes. P.S. As for eToro itself – it’s a legit as legit a financial company can be. They’re licensed by FCA in the UK and I have not had any problems with money withdrawals and deposits. Sorry about that confusion – in the beginning there was a limit of 5 traders you can max copy (that’s why I have that line there). Now there’s no such limit so you can copy 10 or 20 traders if you want. Many thanks for your insightful advice. One question: do you have any links to statistics on what the average gains are for the non-expert copiers on etoro, and what proportions of people are losing money. No, I’m afraid there’s no such statistics available…. I did research this several months when started on eToro but apart from some forum posts couldn’t find much info (that was one of the reasons why I put this blog post together). Yes, I’ve looked too, and could not find much. Presumably eToro would regard that as sensitive information. Once again thanks for your excllent blog. Another question if that’s ok. They seem similar setups, albeit with some differences. there is $5 withdrawal fees charged by Etoro, right ? So any fees charged by Paypal when we use it to receive the money from 3rd party ? P/S : bro, did u ever make withdrawal from Payapl via Bank Wire Transfer ? I think Etoro has simply charged too much of the withdrawal fees, still Paypay does charge a small fee when we receive money from Etoro, right ? So 1 time withdrawal, charged by both size ya? No, PayPal won’t charge you any extra fees as eToro uses mass pay to send out these payments (they cover PayPal fees for you). So all you pay is eToro fee. I enjoyed reading your blog andI am considering sigining up for etoro but I just wanted to ask you about tax. I am from the UK and I noticed that you said profits gained from etoro are tax free. Don’t you have to declare these earnings from etoro on a self assessment to be taxed or did you not have to pay any tax after your first year? Yes, winnings from eToro are classified in same way as income from gambling – it’s not taxable, so you don’t have to pay any tax on it. I just join etoro last night and i am finding it difficult to locate real and profitable trader but with your educative lecture i receive today i will try them out, but still if you can give 10 trader that is well tested i wouldn’t mind. Please you can send them through my email. If you’re not willing to put some work into this, better not start, seriously. You absolutely MUST find traders yourself as otherwise you won’t even know when it’s right time to change them. If you can’t find all 10 in one go, that’s not a problem! Start with 2 or 3 and allocate 10% of your bank to each. And then you can keep adding new traders as time goes by and you’re getting better at this. How much are you making now after around 2 years. Did it go up or you lost ? Thanks Andrew its really helpful and very well written. I will try to learn from your mistakes. Is it easy to take a withdrawal of the money you earn in e-toro, and is it guaranteed you get your money? And is e-toro a trustable place to keep your profit? And what is your user name in e-toro? Yes, it is very easy to withdrawal money from eToro – I just did a withdrawal to PayPal 4 days ago. Payment come in after 2 days of withdrawal request (so super quick). eToro is totally safe to use – it’s FCA regulated in the UK. P.S. As explained in another comment, I don’t share my eToro username. Thanks for answer. haha, okay, but what do you lose to share your username? If you copy the best traders it would be easy for us to just copy you? but another question; If the value I use in my country is not USD, wouldn’t it cost a lot of taxes to change it to my currency when I do a withdrawal? When you do withdrawal, the bank you’re with is the one that determines the exchange rate so you have to check your bank’s exchange from USD to your local currency. Can you mention some of the traders you copy at least? Do you have some regular traders you always copy, or do you change a lot? But there is a question for me that i’ll explain mathematically. Great rules for newbies.I have learnt a lot.Thank you. Can’t get access to the post as the link […] is not working. Which link exactly isn’t working? Is this something you still consistently do, if so I’d love an update of how its been going for you the last few years regarding EToro. I’ve only just come across this post so I’m really interested to hear what you still think about it and if you feel its still worth getting into. Look forward to you reply! How much you invested to get 1400 in one month? Sorry if you have already covered in your article. I’ve just found this and it sounds great. Would you still recommend it as much as you did in this post? Yes, of course! Nothing much has changed to be honest – apart from eToro getting even bigger so we have more traders to choose from now. (and more tools too). I’ll publish an update on my last year trading results very soon. But I can say already know, it’s all green, in profit. Hello Andy, looking forward to an update on how this is going for you. I should have an update post ready in March so stay tuned! Hi I have been following your tactic and it worked very well for me, however it was too slow to make reasonable profit so I have started trading myself. I,ve been trading for a while now and results seem not too bad, an overall good profit margin and upwards trend, I.ve had a few nightmares early on before employing loss prevention. I would be very interested to see how Mr T algorithm works, but the whole process seems fairly straight forward and can generate some good profit, I have split my funds for short mid and long term, therefore giving an income and also reinvestment of capitial to ensure compounding effect. A good source of knowledge is babypips worth a good look into learning FX trading. I also have moved away from copying traders as it’s hard to find good one’s with the right strategies, I just set my own plan and learn as I go, I have a fair few copiers so must be doing something right. ps I would always advise demo trading to start and use as much bonuses when using real money as possible to build up to a good trading point. For copying i recommend the ones that are trading channel, preferably the greenland channel. It seems good if your in it for the long run. Thanks for a great site. Very interested too, to hear about how your etoro experience has been, I just started out, and your site was a big help for me to understand how to copy. One thing i wonder though, is when you look at the chart for a trader, say the 6 months chart, and there is one blue line representing total equity, and one green line representing realized equity. If the green line has a steady yield, and the blue doesn’t, what then? Is that just as good as having a steady yield in the blue? Was wondering after nearly a year on there now how your balance is looking. Also, on the left handside on etoro do you use filters. If so, what do you enter in? Yes, I now use Filters too (at time of writing this post, there was no such a feature). I’ll update on how things are looking for me on eToro early next year. Thanks for the reply. What do you enter into the filters to find the traders you need? I have had a look and finding those that match the criteria of the example trader here are impossible! Any tips are appreciated. Look forward to your update in the new year. 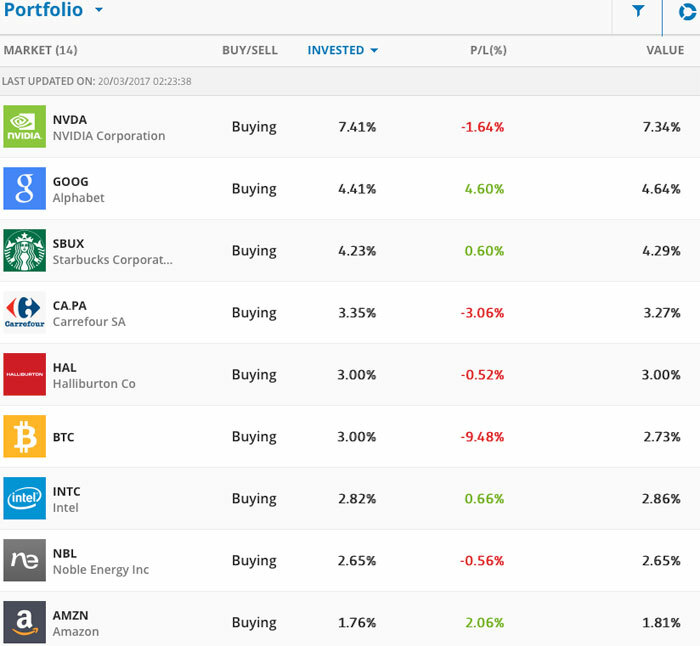 Whats your username on Etoro ? Have you worked out which method of depositing offers more bang for your buck? I used paypal to deposit by taking the $ direct from my card (Sterling). Hopefully my bank card offered a more favorable exchange rate than if paypal made the exchange but I imagine I could do better using my card/bank direct or moneybookers? Do you have any thoughts? Why are profits not taxable by the way? Do they fall under the same rules as gambling? Not much we can do about exchange rates (apart from converting inside eToro and keeping some money in different currency but then again, I’m not an expert in this). I used my credit card to deposit money. Why not taxable? Because they fall under same rules as gambling, yes. If I copy someone, is my investment still leveraged like trading in the normal platform? Can I lose more than I deposit in or is it a lot safer copy trading? No, you can never lose more than you deposited. All the trades you copy will be carried using your available balance and % allocated by you. I have tried this method on a practice account since I found your site. I am just wondering, what filters on the search engine of etoro do you use? The advanced filters. I’m struggling to find consistent low risk traders. I am actually making profit on my practice account and I almost have enough money that I would like to invest in this. I’m just looking for a way to refine my search a bit more and find some great traders that can give me a good low risk return. Any other tips would be much appreciated. And an update on how you have been progressing too. Interested in your take on the whole oil to increase in the future. As explained in the article – low risk, high trade success rate, established performance without huge spikes in trading history, portfolio allocation and traders they follow are most important things to look for. To find new traders I use Search & Filters, monitor Top Traders charts on a weekly basis and sometimes find some good picks in eToro’s newsletter too. To be honest, I haven’t been able to spend much time on this for the last year or so, I take it as a hobby of mine but still, on average I make 5-10% each month with just one loosing month in last year. Yes, I also have invested in Oil, but that’s a long term investment I hope to make some crazy returns in 5-10 years time. Haha can I copy you? I was wondering why don’t you share with us your traders? There would have no effect on your trades or whatever effects on you. So please why not share your traders with others? 1) I change them on a regular basis, which means I would have to update this post each time I change a trader on eToro. 2) I really don’t want to take any responsibility/pressure on by doing this. As money and some risks are involved, I really don’t want to be responsible for a losing month or something. You should always trade with money you can afford to lose but I know for sure that not all people understands this. Plus I trade with Gold, Oil and some stocks on my eToro account now too, so it would really mix it all up. Hope this answers your question Agon. Thanks Andrew for your fast reply…I was just curious to know why. As a very happy 60 Day Blue Print customer of yours I thought I would check in and see what you are looking at now. This looks once again a great opportunity, especially coming from such a reliable source, I will be checking it out for sure. Have been seriously burnt in the past by Forex but this does appear to be a much different concept. Thanks again for the steer. If you follow this concept, it’s almost impossible to lose large amounts of money as you spread the risks among 10 good traders with proven track record. Yes, that’s ok as it’s very hard to find 10 good but only low risk traders. Just make sure these medium risk traders make smallest portion of your portfolio. good information on here. I have a demo account with etoro and copy trader is great – i was wondering how good is etoro when it comes to withdrawing all those huge profits are they reliable and is your money safe in there hands ? I have made several withdrawals without any problems – it takes about 5 days for PayPal withdrawals and you have to be ready to submit some documentation for ID verification. Apart from that, there are no problems in getting your money out of eToro. Just wondering how it’s going ? And if you are still trading. ? Yes, I’m still trading on eToro – it’s not like it takes a lot of time so I basically monitor my portfolio once a week or so and make any changes, if needed. Had few slower months in summer but still – overall it’s a healthy profit when you look @ rolling 12 month period. They’re now launching STOCKS in beta version and you can purchase long term stocks, like Apple, Google, Amazon and other tech companies. Another great way to diversify your portfolio for a long term profit. And it’s so easy to do these transactions! Could you estimate your monthly (yearly) profit since you started? how would I copy you on EToro? You can’t copy me on eToro as I do not share my username. what minimum deposit require to copy trader someone? You can Copy a Trader using as little as $20 or up to 20% of your realized equity. What a great article and great tip! I’d heard of EToro and obviously Forex trading but only ever seen the Biz Opp type brigade promoting it and usually at a cost along with the usual smoke and mirrors. As a client of yours it’s great to hear your real life review on it and I for one will definitely be having a crack at it, it would be silly not too I reckon! Back of the net again, thanks! Hey Andrew, I’ve just signed up to eToro and started practice trading with virtual money…. thanks for explaining it all so clearly. I was wondering how things were now going for you, three months on from your original post? Still making money? It’s still going very strong! Haven’t seen a loosing month yet and on average I reach my 10% monthly profit target. Currently I have a very strong portfolio of 10 traders and only need to change 1 or 2 traders once a month or so. Usually I do not close negative trades and let trader to decide this. Only time I do close negative trades is when I stop copying a trader as then all the trades are automatically closed. Seems like a cool strategy. I am a big fan of yours but I think you should emphasise the use of leverage more, as using leverage can also be highly dangerous. You are effectively gambling with money you do not have when using leverage and it can be a downfall for any beginner trader (I’ve heard some horror stories on this subject)! Only gamble with what you can afford to lose! I use the term gamble loosley as IMO trading stocks and shares is nothing more than glorified gambling unless you are actually a market maker or have inside scoop. I shall give your methods a try :). Using leverage increases your risks yes, but it’s not gambling as essentially you’re doing same trades, just with more money. And you can’t lose more than you actually have in your account, so it’s not like you don’t know what you risk with. Invested $1026.4 USD and after 10 days I got 1034.28 USD so around 10 USD profit in 10 days = 1% gain in 10 days so roughly 3 % per month which beats the 1.85% rate on yearly basis with saving at banks. This way you’ll see if the person is profitable (%gain) and if so how much. Plus if a guy is only profitable for 1% then you can replace his with someone that could be more profitable. Hey Andrew followed this up from my email. This looks promising the whole ideo of following and learning as forex can look scary and boring to some of us when learning for the first time. Great find and i might give this a go sometime soon. Thanks. How soon can 1 start seeing a inital profit with let says a investmen of £500.00 ??? Also is forex and shares two differnt things ? You can see profit or loss as soon as you start copying traders and they carry out first trades. If it’s a busy day trader with dozens of trades each day, it will take just few hours time. Yes, Forex and Stock market trading are different thing, even though on Forex you can buy/sell stock market indexes, same way you can buy/sell oil, silver & gold. I have, just like many, have always wanted to do online trading whether it be Forex or other sites but have been really intimadated with simply just handing over my hard earned dollar while not knowing what the hell I’m doing. This seems like a very practical and beneficial way to come into the game at my own pace while utilizing the strengths and experience of others. Leverage! I think I’ll open up a practice account for awhile before making the plunge. So I thank you for one, in sharing another wonderful opportunity where people all over the world can benefit from, and two, being a trust worthy source of information! Many Thanks Ryan for your kind words! And you’re right – Open Book and copying traders is a perfect way to LEARN more about Forex trading without risking with your hard earned money that much. I have learned a lot during last few months, especially about oil and gold trading. Looks to be a positive concept, however i’d like to see more details on how your investment would be spent. For example if I copied a trader, and allocated for example 20%, is my 20% proportional to his 100%? ie if my 20% is worth $200, and he uses say, 10% of his bank to buy something at a value of $200 but that’s all he does, will my entire $200 also go onto that same deal? or will just 10% of my $200 go on it? Hopefully that makes sense, and the reason I ask is as a lot of dealers I have found so far do not exactly match your criteria above, I have found 2 so far who generally fit, the rest fit usually 4 out of the 5. There are lots of dealers showing consistent growth, with mostly positive open trades and no obvious long term negative trades, but if I copied one of these people, and they made a single trade of $200 and my $200 was matched, then they continued afterwards and made a lot of other trades, would my entire 20% be potentially locked into that bad trade? Or just a small percentage of my $200 relative to how much of his bank he invested on that trade? Yes, exactly – your amount will be used proportionally to reflect exact same trades trader makes. In your example, only 10% from your allocated money will be used for that trade. All trades will be copied based on percentages, and not actual money trader place on each trade. Sounds good, my other query was how it works when you stop/start copying a trader. Does it immediately open or close positions based on their current portfolio? Or does it only take effect on new positions? ie: If they already had trades open when you copy, does it automatically buy up the same position despite the fact the price may have changed? or will it wait and just mirror and new opening on position? Likewise but opposite for when you stop copying, does it immediately sell any positions you currently have open that you copied from that trader, or does it wait for that trader to close the position and then update yours? Also, if you are copying a trader, they make a bad trade and you want out, I assume you can override that trade and sell as required? You are not stuck in the position until the original trader closes it right? 1) Yes, it only take effect on new positions. 2) Yes, when you stop copying trader, all trades are closed. 3) Yes, you can override any individual trades manually. Looks great but noticed one thing (sceptic in me!) – Is the £1349 profit you have made purely from trading within etoro? It’s just that it looks like the video above is an affilaite link which I guess you get money for? Yes, that £1349 is purely from trading on eToro – this blog post is first time I’m promoting eToro program. Please note – everyone who joins eToro can use their refer a friend program to earn $50 for each person who signs up through your link. Friend you refer also gets a $50 bonus. For people with limited budgets it could be a great way to boost your trading bank. What are potential losses ? Is it limited to your original investment ? Yes, your potential loses are what you invest/deposit. But you really have to take high risks to lose ALL of your money, especially if you copy 10 traders. My problem is finding the right traders! The only one that fits all 5 of your targets is the example you used. All the other traders fall short. Which are you following at the moment? No, that’s not true – there are way more than one trader suitable for this strategy. Don’t just look @ Rankings, there are other ways to find traders via search, friends and followers. I won’t share my traders as I don’t want to take such responsibility – that’s why I created this blog post and explained how to find and monitor traders. If I would simply publish my own traders, everyone would copy same without much thinking. By the way, as it turns out you can copy up to 10 traders, make sure you use that to diversify your portfolio! Hey out of interest how easy is it to withdraw money? have you had any experience with this at all? I haven’t done any withdrawals yet but it can be easily done from your account. Only thing you have to do is verify your identity by uploading scanned ID/drivers license and a recent utility bill. This is a common practice with all Forex brokers, from what I have seen. Obviously, you can’t withdraw bonus money you received when signing up + there’s a $5 processing fee for each withdrawal. I got a call from an eToro rep just after I signed up, very helpful she was too. She assured me that you can copy up to 10 traders at any one time. Wow, that’s great news then Steve! Thanks very much for this info, I’ll be using it for sure as I really want to minimize potential risks as much as possible. P.S. On eToro website it still says 5 traders, could be that they haven’t simply updated that yet. Open Book is still in Beta testing, that’s why (I think) they have those limits in first place. When they launch final version, maybe we’ll be able to copy un-limited number of traders. Hey, great review. like others above have mentioned. i would have stopped reading quite quickly on any other persons site but as its you. i will have a look into it! What currency do you have to hold as your normal cash on account. Is it in pounds, or does it have to be dollars?? You can deposit in EUR/GBP/AUD but it will still be converted to USD. All trades on eToro are in USD. Looks really interesting, I’ve tried it out and am trading virtually at the moment and will be interested to see how that proceeds. How much did you invest to make £1349 in December ? I started with £10k, which gave me $1k (USD) bonus. So the total starting bank was about £10600. In beginning of December my bank was around £12k. Great info Andrew, what about safety of our funds at eToro? and withdrawals? eToro is a reputable company with more than 1.75 million users, established 5 years ago. Everything can happen in life of course but from information I have gathered, they seem as safe as any other Forex broker out there. It sounds really interesting this from reading through your article, its something my little brain takes a lot of time to understand and comprehend how stocks and shares work and its something I’ve never really looked much into as I’m not great at figures and graphs etc. But this eToro part does sound certainly something to find out more about. I certainly could do with some extra passive money coming in each month. I just have a couple of questions I hope you’ll be kind enough to answer. With making £1349 in December, how was November, October, does it change much month to month, ? How much did you invest orginally and when did you start? So are you topping up each month already with £200 like you say its best to do or do you work upto this gradually. Lastly how often have you changed traders since you began, do you change often, I would of thought if you choose the top 5 , won’t they be the best and know there stuff and will know in the future, or isn’t that really how it works. Just trying to get to grips on how it works. It varies from month to month but in general, over last three months it’s about 10% per month. Worst was my first month with +6%, December has been best so far. January started very well but then with EUR price going way down below everyone’s expectations I lost some of the good profits. Still looking for +7 to +9% this month. I started in October with £10k, which gave me $1k (USD) bonus. So the total starting bank was about £10600. No, I’m not topping up as my initial investment was already big enough. I’ll trade with this bank for 1-2 years and then decide on a top-up strategy. I have changed 4 or 5 traders so far. Some initial choices I made were not that good, I didn’t have proper filter system in place. I have changed 2 traders because of bad performance. Monitoring and dropping traders is biggest challenge with this system. Most top traders are performing well for a limited time – for most it’s 1-3 years, for some – even less. That’s why you want to review each trader’s performance on a weekly basis. Are there any filters to show those with low risk only? Also, I think it is possible to copy more than 5 traders, as I’m currently copying 6, but I think you can have a maximum of only 20% equity in any single trader, unless I have missed something? You sure you’re “copying” them and not “Following”? As by eToro FAQ, you can copy MAX 5 traders at any given time. Thanks for your reply, I’ll probs have to give it a miss for now and maybe join when I have more money I could afford to lose I guess, with £200 investment it would take a while to show much money back for the time spent. I didn’t realize it would be such an amount though of initial investment, your £10k is probably what is best to invest to actually get some money back a month but I sadly don’t have a spare £10k. Certainly be interested to hear though how you progress through the months and what sort of monthly profits you are getting in a year. I’m also interested in how my bank will look in one year’s time! 🙂 I just hope this isn’t beginners luck and I’m already preparing myself for losing months, as I’m sure they will come. Great article Andrew, been to a seminar about Forex in the past but been put off by the huge learning curve and risk to capital. This is exactly the type of thing I’ve been looking for, seems like an excellent idea. Exactly, there’s a HUGE, HUGE learning curve involved if you would want to become a Forex trader. With this, you simply have to master skills of finding & monitoring profitable traders. Ok this is really confusing! I am in Practice mode and want to see how it works before i deposit real money in. How do i check a traders history (Filter #1 – Trading History) ? Should be same, click on Open Book and then >>> Rankings to see top trader list (that’s a good place to start looking for traders). I am looking into this as we speak. Will update my results in couple of months time hopefully. this is really nice and valuable information. Thank you. One question i wanted to ask is what was your initial investment from which you made £1349 profit? However, I will look at this more closely as it does sound very exciting! Forex trading, eToro is totally genuine opportunity. The problem is that so called “Internet Gurus” have built portrait that Forex is about trading robots (you should buy of course, lol), people making millions each month (Clickbank e-books) etc. etc. In a word, it’s very difficult to find down to earth, un-biased information. This is a great opportunity, I agree with you! And that’s why I actually started trialing this concept, as I always tried to stay away from Forex. Idea behind Copy Trader feature is what got my attention as I have no intentions of becoming a day trader myself. Ohh, and opportunity to buy Oil with a leverage, that’s also very powerful concept in my opinion. Great stuff andrew ! Thankyou for advice ! I try this one ! Great article. Just a quick question regarding e toro and online trading, do you have any books you can recommend me? I would like to learn more information about online trading. I have learned this all by myself, I haven’t found any good books/resources related to social trading (yet). Great article, have been trading before on Plus500 but eToro also looks good, going to check it out for sure! Thanks Max! Any questions about eToro, just let me know.